Gary Gromer is a Prescott, Az native who lives there with his wife Dagny. After Gary retired from the BNSF railway with 33 years of service, he started a photography business. 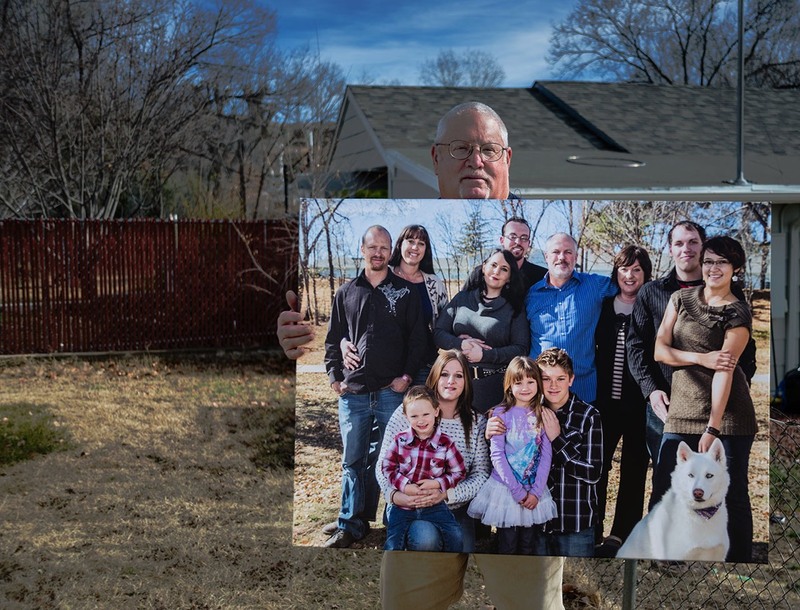 Gary displaying a large canvas print of his work, a family photo of the folks who live in the house behind where Gary is standing.